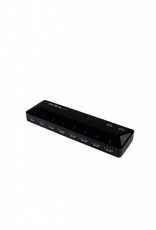 This 10-port USB 3.0 hub enhances your system’s capabilities by providing fast-charging for mobile devices, plus quick access to your USB devices, making it perfect for business or home-office settings. As a charging station, the hub features two easy-access 1.5 amp charge-and-sync ports, so you can easily fast-charge your smartphones, tablets and other mobile devices. Plus, you can still connect all of your vital peripherals to the remaining data ports. Because the hub supports USB Battery Charging Specification 1.2, you can charge most mobile devices, including Apple devices and Android™ devices such as the Samsung Galaxy™. 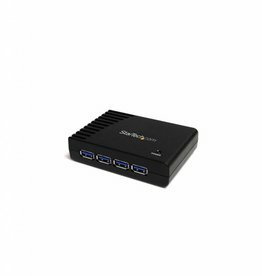 With its sleek and compact design, you can easily position the USB 3.0 (also known as USB 3.1 Gen 1) hub on your desk or workspace to make your USB devices more accessible. There’s also ample space between the USB 3.0 ports, so it’s easy to plug and unplug the devices you use the most. 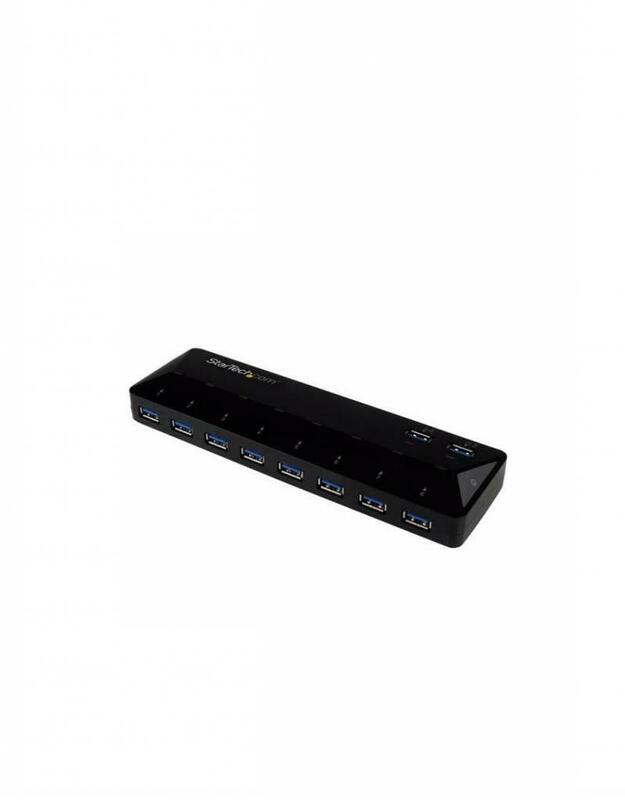 The USB 3.0 hub is multi-platform compatible and is natively supported in virtually all operating systems including Windows® and Mac, which makes for an easy setup with no driver installation required. The ST103008U2C is backed by a StarTech.com 2-year warranty and free lifetime technical support.